Open 9 am to 9 pm. 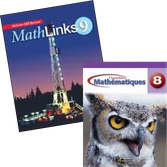 - help with math ... "en français"
Many parents in Calgary don't speak French. And to make things worse, they are not always good at Math. So how to you help your child do Math homework in French Immersion? You get a warm, friendly French teacher to help you. Nathalie is not just a French math tutor, she is a teacher from France. Having her tutor your child will take the pressure off you. And your child's marks will improve; and that takes pressure off your children. It's a win-win for everyone!! The advantage of Nathalie is that she can help you child with Math one week and then work on French grammar or French science the next!! A French tutor for 1-hour a week could prove very useful and it isn't as expensive as you think. Will* was struggling in Late French Immersion until his mom called and asked Nathalie to help him. Nathalie taught for 12 years with le département d'éducation (Ministry of Education) in France. Following this, she taught for the last 6 years at an international French school here in Calgary and now she teaches privately. 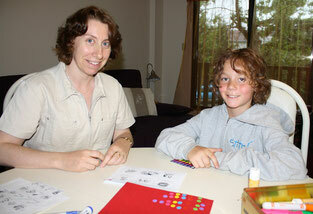 Nathalie helped Henri* to understand better his Math homework (fractions) and raise his overall marks at school.